We are committed to create a happier and healthier cleaning service with an affordable price for our clients. We believe that a satisfied customer is the key to our success. 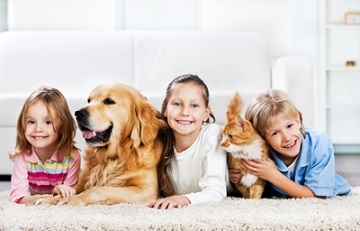 We CDCM, offer carpet cleaning, upholstery cleaning, commercial office cleaning, pet stain and odor treatment, re-appearing stain treatment and carpet protection. We offer cleaning products that are Green, Nontoxic and Biodegradable. 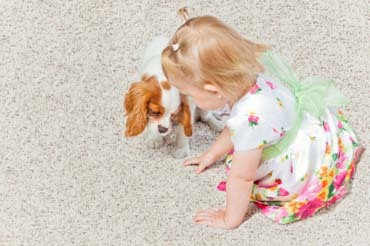 We CDCM, use carbonation technique which doesn’t soak your carpet and your carpet dries in 1-3 hours. This prevents mold and mildew from damaging the carpet and also prevents wetting the carpet's backing material and separating it from the fibers. This could cause the carpet to lose shape and pucker. We are determined to provide excellent service with an affordable price. We like to develop long lasting relationships by providing efficient employees and excellent customer service. Most of our business comes from referrals and repeat customers. We CDCM, has earned its reputation for the quality, value and service provided. Our values help us create a reputation of excellence. Thank you so much for the spectacular cleaning job. The new tenant will be surprised and delighted to see the work you did. I am very pleased with how it turned out. They did a fantastic job, removing stains and making our carpet look plump and pretty again. Plus everyone was very nice and helpful. Everything looks wonderful. I was planning to get rid of my sofa but, they made my old sofa look like new one., so I could get a few more years out of it. I recommend Carpet Dry Cleaning & More highly and without thinking." They are friendly and dependable. I can count on their high quality service every year. Los Angeles, San Fernando Valley, Santa Monica, Beverly Hills, Culver City, West Hollywood, Huntington Park, Glendale, Pasadena, Inglewood, West Covina,Santa Clarita, Compton, Downey, Thousand Oaks, Westlake Village, Newbury Park, Simi Valley, Ventura, Camarillo, Woodland Hills, Calabasas, Agoura Park, Oak Park, Tarzana, Encino, West Hills, Canoga Park, Winnetka, Reseda, Lake Balboa, Chatsworth, Northridge, North Hills, Porter Ranch, Granada Hills, Sylmar, Brentwood, Pacific Palisades, Venice,Mar Vista, Del Rey, Playa Vista, Playa del Rey, Mission Hills, Arleta, Panorama City, Van Nuys, Valley Glen, Sherman Oaks, Valley Village, Studio City, Bel-Air, Beverly Glen, Beverly Crest, Westwood,Century City, Rancho Park, Hollywood,, Melrose, Fairfax, Miracle Miles, Pacoima, Sun Valley, Shadow Hills, La Tuna Canyon, La le View Terrace, Sunland, Tujunga, North Hollywood, Toluca Lake, Griffith Park, East Hollywood, Silver Lake, Los Feliz, Echo Park, Atwater Village, Glassell Park, Eagle Rock, Highland Park, Cypress Park, Lincoln Height, Sereno, Downtown, Boyle Heights, Port Hueneme, Oxnard, Carthay, Toluca Woods, Toluca Terrace, South Carthay, Wilshire Vista, Picfair Village, Wilshire Vista Heights, Pico Park, Redondo Sycamore, Sycamore Square, La Brea Hancock, Brookside, Fremont Place, Windsor Village, Wilshire Park, Country Club Heights, Larchmont Village, Maplewood-St. Andrews, St. Andrew’s Square, Western Wilton, Harvard Heights, Western Heights, West Adams Terrace, Kinney Heights, Berkeley Square.. Rampart Village, Crenshaw Manor, Arlington Park, Sycamore Grove, Monterey Hills.